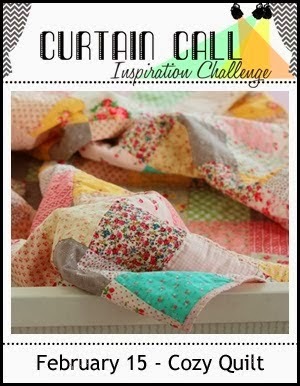 I'm made this card for the current Curtain Call Challenge - Cozy Quilt. After looking at the inspiration photo I decided to make a card using different patterned papers for the petals of my flower. The flower stamp is one of may favorite stamps. It's from a Wendy Vecchi set called Sketch Art. All the papers on the card are from the DCWV Freshly Picked Stack. I just love the colors in this collection. The sentiment is DCWV - Vintage Collector. I stamped is with black archival ink. Thanks for stopping by! This is so much fun Donna! Love the bright colors! Thanks for joining us at Curtain Call-Cozy Quilt! This is just gorgeous! I love the wonderful combination of colours and patterns you've chosen. May you have a beautiful day! Such a fun flower! Love the bright colours. The Curtain Call. 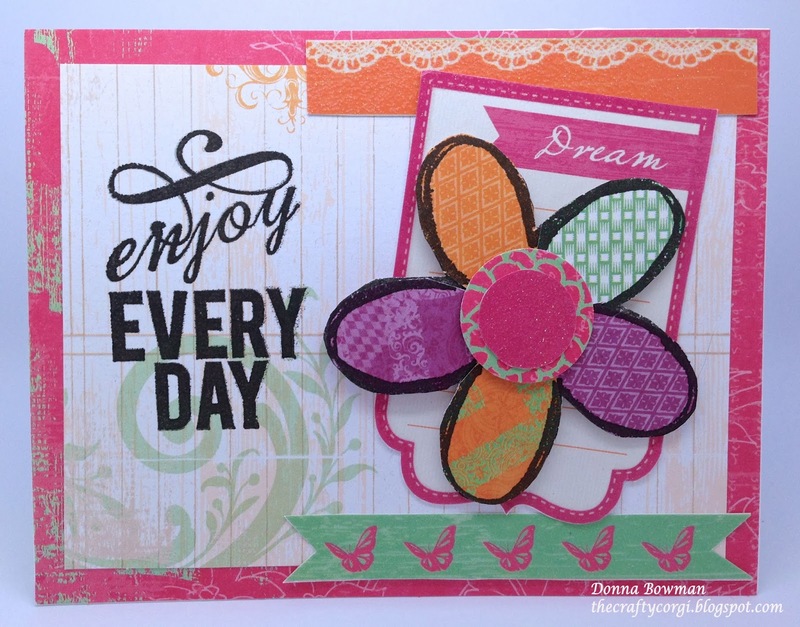 LOVE that each petal is made from different patterned papers, it's fabulous Donna! Wow, Donna, your flower is wonderful! I've saved it to CASE the technique! The whole card is so uplivting. I like every detail!!! The black sentiment and edging your flower with black was a wonderful idea. So creative! Very pretty Donna. Love the different patters on the petals. Thank you for playing along with us at the Curtain Call.